Sitting in front of a fire on a cold February day and deciding what to plant is imminently satisfying to most gardeners. If pumpkins are part of the plan, knowing how long they take to grow is essential. 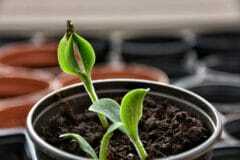 How Long Do Pumpkins Take to Grow? Can I Speed Up the Growing Process? 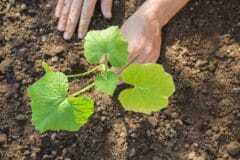 If you have decided to plant pumpkins, it is vital to know in which planting zone you live. 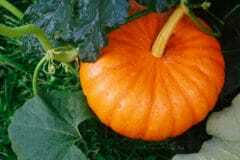 Although pumpkins can grow nearly anywhere, they require a longer growing season than most other garden plants. The planting zone is based on the last and first hard frosts of the growing season in your area. To get this information, the USDA has an interactive map online. However, the best way to find out what the planting zone is for your region is to ask an experienced gardener. Tip: Most local nurseries can also provide information about your local growing season and are happy to answer your questions. 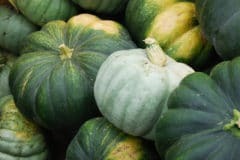 All pumpkins require a long growing season with a lot of sun, but some varieties mature more quickly than others. At a minimum, you need to plan for at least 85 days for some variations, and up to 160+ days for a Giant Pumpkin. The back of the seed packet you purchase will have the average days to maturity listed on the back. There are many different kinds of pumpkins, and which type you choose will dictate how long you need to plan for them to be in the ground. 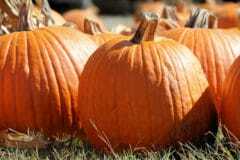 Most ornamental pumpkins have a shorter growing season, but many people do not eat ornamental ones and they cannot be used for pies or Jack O’Lanterns. There is no way to fool Mother Nature into growing your pumpkins any faster than the package indicates. However, you can give your pumpkin seeds a head start by starting them indoors about four weeks before the last frost date. 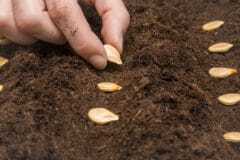 Starting them inside allows you to plant longer-growing varieties if you live in a region with a short growing season. Another option is to purchase established seedlings at your local garden center. 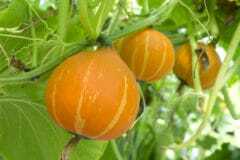 For beginning gardeners, this may be the best option as it takes the extra work out of planting and almost guarantees a plentiful harvest. Tip: Whether you plant seedlings or seeds, the soil needs to reach a consistent temperature of 65°F (18°C) for the pumpkins to grow. 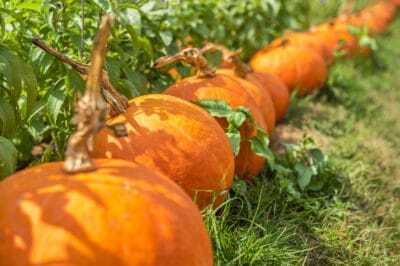 If you want to grow large pumpkins for carving Jack O’Lanterns or even a Giant Pumpkin to enter into the fair, you need to be sure to provide plenty of frost-free growing time. Lumina (this kind has a white rind). 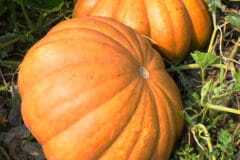 Tip: The above pumpkins require around 110 days to harvest, with some ripening earlier and some slightly later. Plan for approximately 120 days to harvest. Giant Pumpkins, however, are in a category all their own. They can grow as large as 500 pounds (227 kilograms) and more, so you can imagine the time it takes to nurture them to harvest. 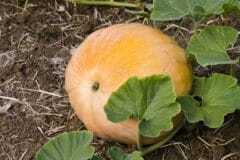 The average growing season for this size of pumpkin is about 165 days. Whichever variety you choose to plant, the best way to help them during the season is to take stellar care of them. While all pumpkins need at least six hours of sunlight, pumpkins thrive when they have 8-10 hours of direct sunlight. Feeding your pumpkins with a high-quality organic fertilizer will help them mature into healthy, robust fruits. Water is vital for your plants from planting through harvest harvest. 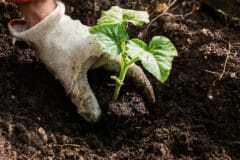 Plan on watering every time the soil around the plants whenever it looks dry. 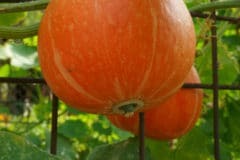 Regardless of the type of pumpkin you want to plant, planning your garden is the key to success. Be sure to read the seed packets carefully to ensure that you give the seeds enough time to mature. Many gardeners plant several varieties with different harvest times; this provides more pumpkins for a more extended period. If you love pumpkins but not quite that much, pick one variety and watch it grow! How Many Pumpkins Will My Plant Produce? Why Are My Pumpkins So Yellow?